So you want to learn acoustic guitar, but you’re on a budget and you’re wondering which guitars provide the best value for your money? Or maybe you’re looking for an inexpensive travel or practice guitar that you can use in place of your studio or home model without worrying about damage? Luckily, some of the best acoustic guitars are also very affordable. But when it comes to looking for a good cheap guitar, the options can be overwhelming. In this article we break down the factors you should be considering, from wood choice and finish to the shape and feel of the neck and body, to help you find the best value acoustic guitars on the market. 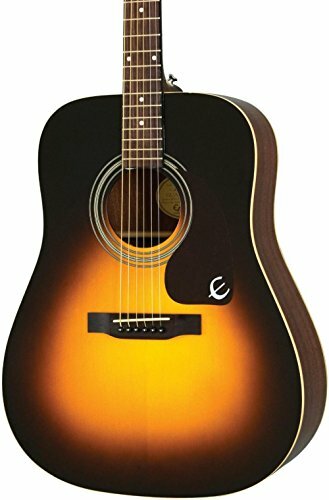 This entry level Epiphone model proves that cheap acoustic guitars can also be quality instruments. The Epiphone DR-100 includes some of the best features you should look for in an acoustic guitar. A spruce top, mahogany body and neck, chrome hardware and a rosewood fingerboard with dot inlays are just a few of the features that set this guitar above the rest, and make this guitar what you would expect from an iconic brand like Epiphone. The stock strings and precision crafted tuners help keep this attractive and affordable cheap acoustic-electric guitar in tune throughout multiple hours of playing. At well under $200, this is a steal and a definite contender for the best cheap acoustic guitar. The Yamaha FG 700 line has been widely considered one of the best beginner guitars and one of the best cheap guitar models on the market. The FG 800 series has upgraded this reliable classic with the best ever FG tone and the same solid spruce top, mahogany back and sides, and rosewood fingerboard. The easy action on the superb Yamaha FG820 acoustic guitar is complimented by die-cast tuners. The resulting tone is rich and bright without any of the tinniness you might expect from cheaply-made acoustic guitars. At a price that won’t break the bank, this Yamaha edition is priced comparably to lesser quality plastic models but with all of the features you’d expect from a higher-priced guitar – easily making this one of the best cheap acoustic guitars. Although the Seagull S6 Entourage acoustic guitar is priced slightly above some of the other selections on our list of best acoustic guitars for the money, at under $400 it is still a great budget buy. The solid cedar top and wild cherry laminate back and sides provides a much deeper, richer guitar tone than you would expect at this value price. And the slim design of the extremely comfortable neck makes this guitar easy and fun to play. The aesthetics on this gorgeous model are also hard to beat. The thin finish on the Seagull S6 will allow the tonewood to age naturally, which means this acoustic guitar will only get better with age and playing time. If you have a little bit more to spend on a guitar but still want something affordable, the S6 Entourage is the best of the bunch. Washburn guitars have a long and storied background, and the Washburn WD100DL dreadnought demonstrates just one of the reasons why. At under $150, the deep tone and projection you can achieve from this steel string guitar mimics the quality of much more expensive models. This guitar features a solid mahogany top and mahogany back and sides, which balance out the highs and lows of the dreadnought shape. The Washburn WD100DL produces a pleasing sound that is both full and rich, and also loud enough to be heard without amplification in most venues. There’s a reason countless songs have been sung about the Epiphone brand of guitars and the Epiphone PR-150 lives up to the reputation. 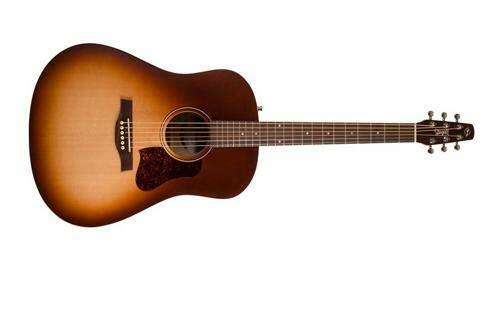 The features on this acoustic beauty are comparable to the other budget values on our list. The spruce top, mahogany back and sides, and a mahogany neck with rosewood fretboard make this a strong contender for one of the best affordable acoustic guitars. But it’s the sunburst finish that gives this guitar the look of a much higher-priced model. Alvarez Artist Series AD60 Dreadnought Guitar. The excellent sound, playability, and construction of Alvarez guitars in an affordable package. Jasmine S35 Acoustic Guitar. An affordable beginner guitar from Jasmine, Takamine’s budget imprint. Fender FA-100 Dreadnought Acoustic Guitar. A no-nonsense beginner guitar from Fender. Rogue RA-090 Dreadnought Acoustic Guitar. 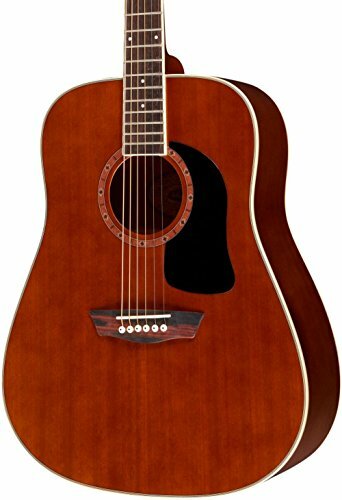 There’s a lot of value in this sub-$100 acoustic guitar. Great for beginners on a budget. Ibanez IJV50 Acoustic Guitar. A solid guitar that comes with a useful jam pack of accessories for beginning players. There are many options on the market when it comes to the best affordable acoustic guitars. But less expensive does not have to mean lesser quality. Each of the models on our list of good cheap guitars come with solid wood tops, beautiful string action and deep, vibrant sound. All of these instruments will grow with your musical abilities and keep you playing for years on end. While you can certainly spend a great deal of money investing in your instrument, here beginners and intermediate musicians alike will find a variety of models that will satisfy your musical needs.